The half-metallic properties of M2IrSi (M=Ti, Cr and Mn) full-Heusler compounds are studied within the framework of Density Functional Theory (DFT). The ferromagnetic (FM) and non-magnetic (NM) states are compared in Hg2CuTi and Cu2MnAl prototype structures. The FM states in Hg2CuTi structure have been found energetically more stable than NM states for M2IrSi (M=Ti, Cr and Mn) full-Heusler compounds. Due to this stability, all calculations are performed for FM-state. The spin-polarized calculations show that the spin-up electrons of Ti2IrSi compound has metallic nature while spin-down electrons have semiconduction behavior with an energy gap of 0.89 eV. Cr2IrSi compound has metallic properties in both spin-up and spin-down electrons. The spin-up electrons of Mn2IrSi compound has metallic nature while spin-down electrons have semiconduction behavior with an energy gap of 0.41 eV around the Fermi level. Finally, Ti2IrSi compound is a conventional half-metallic ferromagnet and Cr2IrSi compound is metallic ferromagnet within2.73 and 1.0 µB/f.u.magnetic moment, respectively. Mn2IrSi full-Heusler compound is a true half-metallic ferromagnet within 3.0 µB/f.u. magnetic moment. R.A. de Groot, F.M. Mueller, P.G. van Engen, K.H.J. Buschow, New class of materials: half-metallic ferromagnets, Physical Review Letters 50 (1983) 2024. A. Aguayo, G. Murrieta, Density functional study on the half-metallic ferromagnetism in Co-based Heusler alloys Co2MSn (M=Ti, Zr, Hf) using LSDA and GGA, Journal of Magnetism and Magnetic Materials 323 (2011) 3013-3017. M.I. Katsnelson, V.Y. Irkhin, L. Chioncel, A.I. Lichtenstein, R.A.de Groot, Reviews of Modern Physics 80 (2008) 315. S.A. Wolf, D.D. Awschalom, R.A. Buhrman, J.M. Daughton, S. von Molnar, M.L. Roukes, A.Y. Chtchelkanova, D.M. Treger, Science 294 (2001) 1488. I. Zutic, J. Fabian, S. Das Sarma, Spintronics: Fundamentals and applications, Rev. Mod. Phys. 76 (2004) 323. E. Şaşıoğlu, L.M. Sandratskii, P. Bruno, I. Galanakis, Exchange Interactions and Temperature Dependence of Magnetization in half-Metallic Heusler Alloys, Physical review B. 2005 14;72(18):184415. M. Zhang, Z. Liu, H. Hu, G. Liu, Y. Cui, J. Chen, G. Wu, X. Zhang, G. Xiao, Is Heusler compound Co2CrAl a half-metallic ferromagnet: electronic band structure, and transport properties, Journal of Magnetism and Magnetic Materials 277 (2004) 130–135. I. Galanakis, Surface Properties of the Half and full-Heusler Alloys, Journal of Physics: Condensed Matter 14 (2002) 6329. S. Krishnaveni, M Sundareswari and M. Rajagopalan, Prediction of electronic and magnetic properties of full-Heusler Alloy- Ir2CrAl, Journal of Applied Physics 7 (2015) 52-55. S. Cherid, W. Benstaali, A. Abad, S. Bentata, T. Lantri, B. Abbar, Theoretical prediction of half metallic ferromagnetic full-Heusler alloys, Solid State Communications 260 (2017) 14-18. H.C. Kandpal, G.H. Fecher, C.Felser, Calculated electronic and magnetic properties of the half-metallic, transition metal based Heusler compounds, Journal of Physics D: Applied Physics 40 (2007) 1507. W. Wang, S.S. Gao, Y. Meng, First-principle investigations of the magnetic properties and possible martensitic transformation in Ni2MnX (X= Al, Ga, In, Si, Ge and Sn), Journal of Magnetism and Magnetic Materials 371 (2014) 135-138. S. Qi, J. Shen, C.H. Zhang, First-principles study on the structural, electronic and magnetic properties of the Ti2VZ (Z=Si, Ge, Sn) full-Heusler compounds, Materials Chemistry and Physics 164 (2015) 177-182. S. Soeya, J. Hayakawa, H. Takashi, K. Ito, Development of half-metallic ultrathin Fe3O4 films for spin-transport devices, Appl. Phys. Lett. 80 (2002) 823. S.P. Lewis, P.B. Allen, T. Sasaki, Band structure and transport properties of CrO2, Phys. Rev. B 55 (1997) 10253. G.Y. Gao, K.L. Yao, Z.L. Liu, Y.L. Li, J.L. Jiang, Y.C. Li, Half-metallic ferromagnetism of Cr-doped rutile TiO2: A first-principles pseudopotential study, Physica B 382 (2006) 14-16. Q.F. Li, J.G. Yin, X.F. Zhu, Theoretical study of the electronic and magnetic properties oc Co2Cr1-xVxAl, Journal of Magnetism and Magnetic Materials, 322 (2010) 2293-2297. Y.J. Zhang, Z.H. Liu, G.D. Liu, X.Q. Ma, Half-metallic fully compensated ferrimagnetism in C1b-type half Heusler compounds Mn2Si1-xGex. M. Mizuguchi, H. Akinaga, T. Manago, K. Ono, M. Oshima, M. Shirai, M. Yuri, H.J. Lin, H.H. Hsieh, C.T. Chen, Journal of Applied Physics 91 (2002) 7917. T.W. Kim, H.C. Jeon, T.W. Kang, H.S. Lee, J.Y. Lee, S. Jin, Appl. Phys. Lett. 88 (2006) 021915. K.L. Yao, J.L. Jiang, Z.L. Liu, G.Y. Gao, First principle prediction of half metallic ferromagnetism in zinc-blende MBi (M=Ca, Sr, Ba), Physics Letter A 359 (2006) 326-329. K.L. Yao, G.Y. Gao, Z.L. Liu, L. Zhu, Y.L. Li, Half-metallic ferromagnetic semiconductors of V and Cr-doped CdTe studied from first-principles pseudopotential calculations, Physica B 366 (2005) 62-66. N. Xing, Y. Gong, W. Zhang, J. Dong, H. Li, First-principle prediction of half-metallic properties for the Heusler alloys V2YSb (Y=Cr, Mn, Fe, Co), Computational Materials Science 45 (2009) 489-493. A. Birsan, P. Palade, V. Kuncser, Half-metallic state and magnetic properties versus the lattice constant in Ti2CoSn Heusler compound: An ab initio study, Solid State Communications 152 (2012) 2147-2150. K. Özdoğan, I. Galanakis, First-principles electronic and magnetic properties of the half-metallic antiferromagnet Cr2MnSb, Journal of Magnetism and Magnetic Materials, 321 (2009) L34-L36. A. Birsan, P. Palade, Band structure calculations of Ti2FeSn: A new half-metallic compound, Intermetallics 36 (2013) 86-89. X.P. Wei, J.B. Deng, G.Y. Mao, S.B. Chu, Z.R. Hu, Half-metallic properties for the Ti2YZ (Y=Fe, Co, Ni and Z=Al, Ga, In) Heusler Alloys: A First-principles study, Intermetallics 29 (2012) 86-91. Z.Y. Deng, J.M. Zhang, Half-metallic and magnetic properties of full-Heusler alloys Zr2CrZ (Z=Ga, In) with Hg2CuTi-type structure: A first-principles study, Journal of Magnetism and Magnetic Materials 397 (2016) 120-124. B. A. Alhaj, B. Hamad, Journal of Physics and Chemistry of Solids, The effect of defects on the electronic and magnetic properties of Co2CrAl Heusler Alloy 74 (2013) 265-271. D. Singh, Planes Waves, Pseudo-Potentials and the LAPW Method, Kluwer Academic Publishers, Boston, Dortrecht, London 1994. P. Blaha, K. Schwarz, G.K.H. Madsen, D. Hvasnicka, J. Luitz, K. Schwarz, WIEN2k, An Augmented Plane Wave Local Orbitals Program for Calculating Crystal Properties, Techn. Univ. Wien, Austria, ISBN 3-9501031-1-2, 2001. J.P. Perdew, K. Burke, Y. Wang, Generalized gradient approximation for the exchange-correlation hole of a many-electron system, Phy. Rev. B 54 (1996) 16533. J.P. Perdew, S. Burke, M. Ernzerhof, Generalized Gradient Approximation Made Simple, Phys. Rev. Let. 77 (1996) 3865. S. Galehgirian, F. Ahmadian, First principles study on half-metallic properties of Heusler compounds Ti2VZ (Z= Al, Ga and In), Solid State Communications 202 (2015) 52-57. C.M. Fang, G. A. de Wijs and R. A. de Groot, Spin polarization in half-metals, Journal of Applied Physics, 91 (2002) 10. H.Z. Luo, F. Meng, H. Liu, J. Li, G. Wu, X. Zhu, C. Jiang, Origin of the Z-28 rule in Mn2Cu-based Heusler alloys: A comparing study, Journal of Magnetism and Magnetic Materials, 324 (2012) 2127-2130. S.Skaftouros, K.Özdoğan, E.Şaşıoğlu and I.Galanikis, Generalized Slater-Pauling rule for the inverse Heusler compounds, arXiVi1210.5816V1 [cond-mat.mtr1-sci], 2012. I. Galanakis, Ph. Mavropoulos, P.H. Dederichs, Introduction to half-metallic full-Heusler alloys: Electronic Structure and Magnetic Properties, Journal of Physics D: Applied Physics, 39 (2006) 765-775. ISNAD MERDAN, Ziya , ÖZDEMİR, Evren G. . "The Electronic and Magnetic Properties of New Full-Heusler Compounds: M2IrSi (M=Ti, Cr and Mn)". 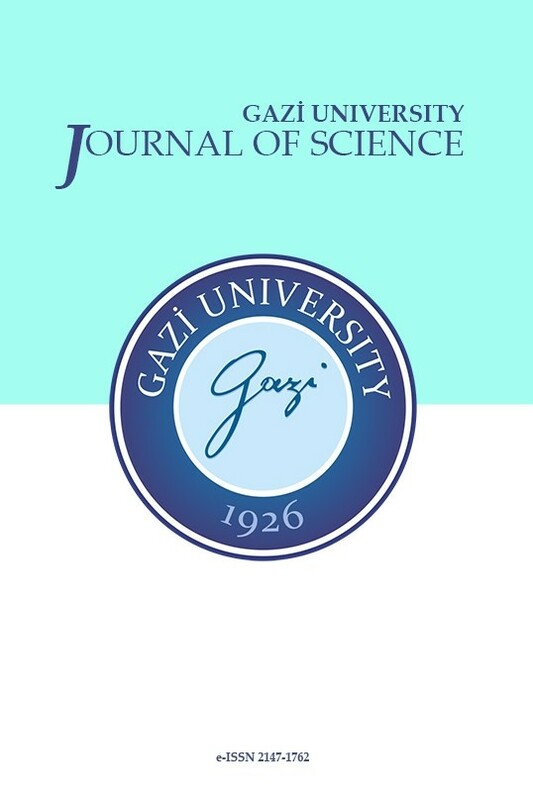 GAZI UNIVERSITY JOURNAL OF SCIENCE 31 / 3 (September 2018): 940-952.